I am literally obsessed with this recipe and so proud of myself for coming up with something that works so well! 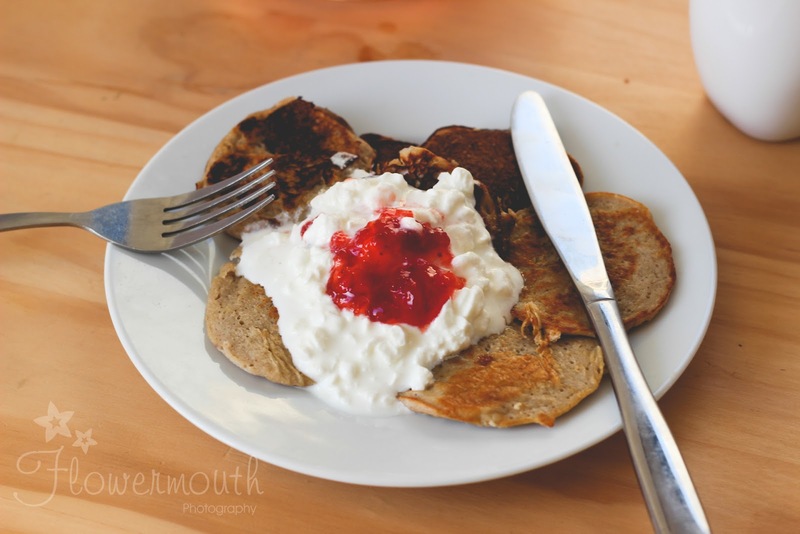 Even my gluten loving boyfriend really approved on this pancake recipe. They're so tasty and best of all there is no added crap! 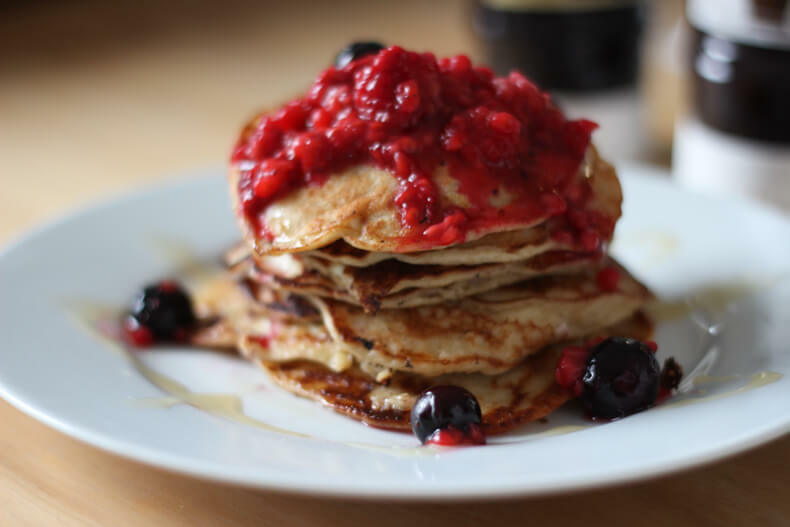 You can enjoy these pancakes for breakfast or lunch and not feel guilty. 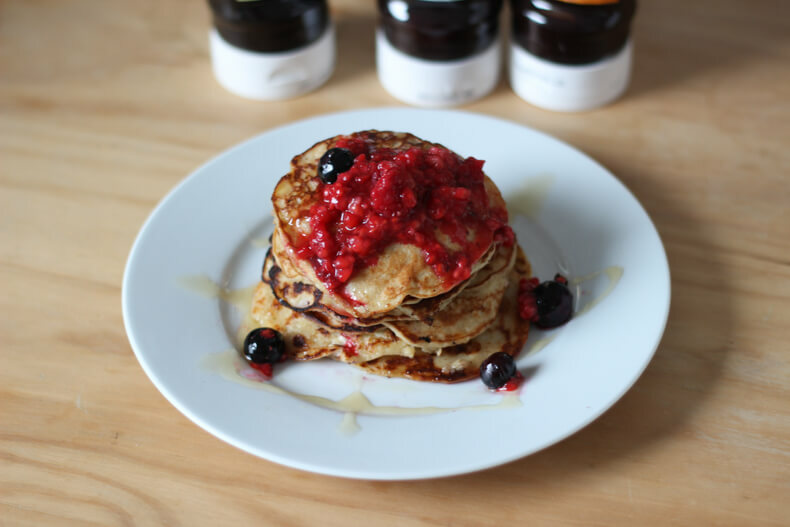 Because they are made from oats and Sweet Freedom syrup instead of sugar they will keep you feeling full and energized. 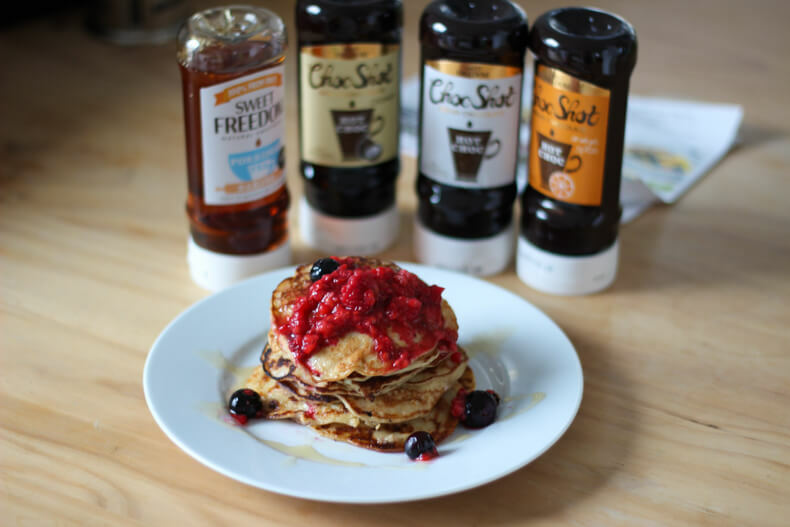 Let me tell you a little bit more about Sweet Freedom* - it's a Great Taste Award winning fruit syrup made from apples, grapes & carob. 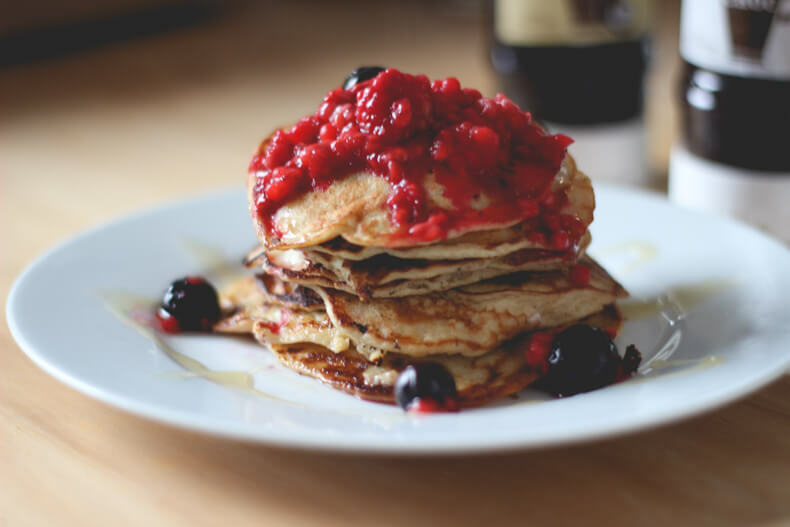 Meaning that the sugar in the syrups is 100% natural, vegan, it's not genetically modified, it's gluten free, dairy free and it's low GI meaning that it doesn't spike the sugar levels. Or in other words, it's not full of crap like golden syrup or other chocolate sauces and syrups. 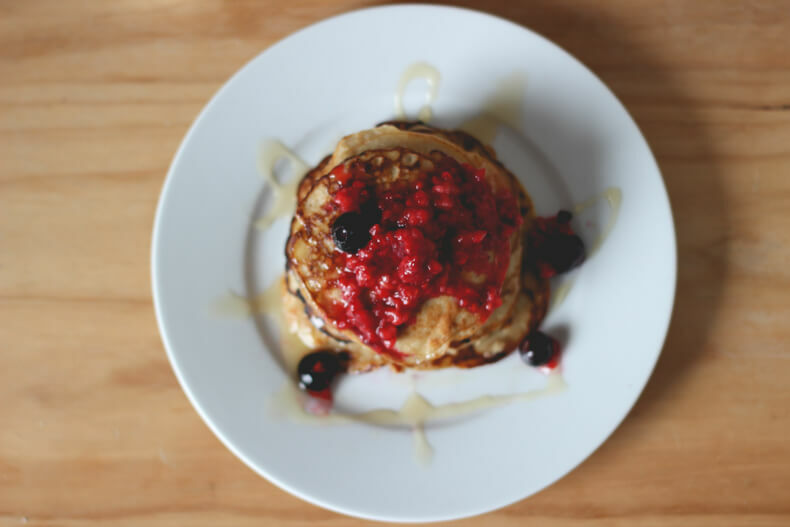 For the recipe I used the original Sweet Freedom syrup. 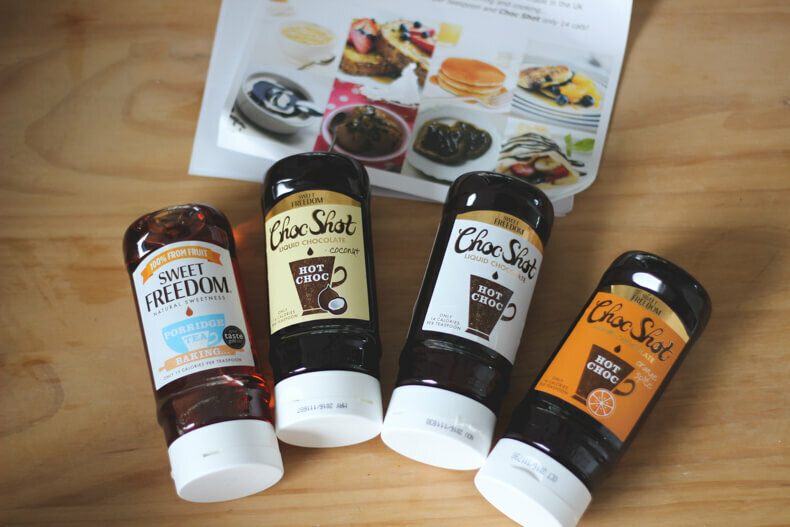 If you're a chocolate lover Sweet Freedom also have 'Choc Shot' variations which include Orange Spice & Coconut. All three can be used for drizzling on pancakes, ice creams, fruit or anything else you can think of or be turned into hot chocolate when added to warm milk. To be in for a chance to win a year's supply of Choc Shot simply email admin@sweetfreedom.co.uk with GEN-2015 in the subject line - entry closes 31/12/2015. If you try this recipe please let me know what you think! ou can also find me in all of these places, come say hi! I am drooling! I feel like hunting around the whole of South East Asia to find these ingredients! Really love the food photography too. Keep up the great posts. I think I'm about to gain a kilo from looking at those photos. Doom! The hot choc choc shot looks SO good too! Oh my god Dei these look amazing! 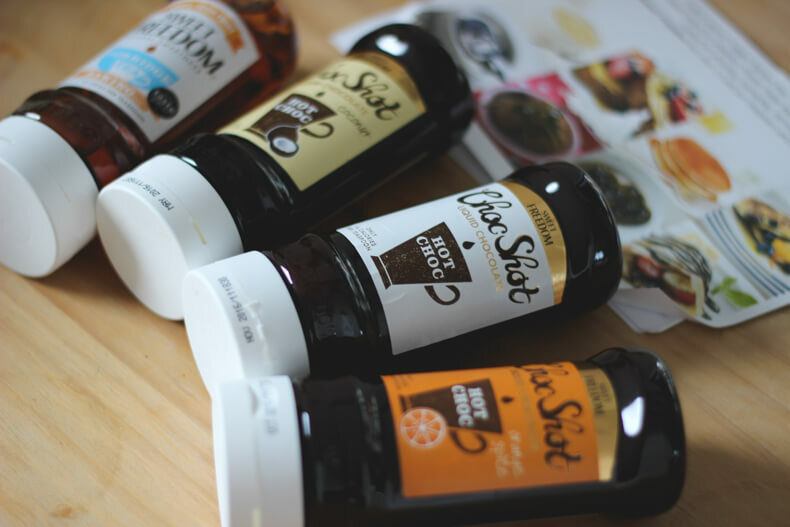 I've had choc shot before, such a good concept - I need to check out the flavours!